Just published a brand new blog post and have no clue how to promote it? Let’s fix that. I’ve been blogging since 2010 and, believe me when I say that I’ve tried more than my fair share of content promotion strategies. A few of them worked like a charm, but most of them failed miserably. In this article, I’m going to teach you how to effectively promote your blog with just seven fundamental strategies that I swear by today. Just seven? Tim, but what about that list with 100+ content promotion tactics that I have in my bookmarks? Waste of time! The strategies below are all you need to know if you want your blog to take off. Tim, are you sure your strategies will be relevant to my blog about “whatever_topic?” What worked for you might not work in my industry. So I’m 100% sure that the seven strategies below will work for the blog you want to promote. The subheadings might sound simple and obvious, but I bet what goes below them is not what you expect to see. Please don’t tell me that you don’t have the budget for content promotion. If you’re not paying with your money, you’re paying with your time. Add links to your blog posts from within your answers. Here’s what I want you to do: Go and leave at least ten useful answers on Quora, and include a link to one of your blog posts in each of them. I’ll wait while you finish. Did you do what I said? Of course not. That’s because writing ten quality answers on Quora can easily take more than 2 hours of your time. But even if you rate yourself at a modest $15/hr, 2 hours of your time is worth $30. Most people want to learn “free content promotion strategies” because they don’t want to pay for promotion. But what they often don’t realize is that, in reality, no content promotion method is free because of something called opportunity cost. Opportunity cost is an economics term that refers to the value of what you have to give up in order to choose something else. In a nutshell, it’s a value of the road not taken. In this example, the opportunity cost is $30—i.e., the money you could have earned by spending those 2 hours of your time working instead. Now back to Facebook Ads. Here at Ahrefs, we can get clicks from Facebook for under $0.30 each. Which means that $30 translates into 100+ guaranteed clicks to our article. And how many clicks do you think those 10 Quora answers will bring you? It’s a gamble. Maybe 10? Maybe 500? Maybe zero. 5 (hours a week) * 4.35 (average weeks in a month) * $15 (assumed hourly rate) = $326.25 (for 100 clicks from Quora). Now it’s up to you to decide: do you want to spend your time trying to get traffic from Quora (or using any other promising “free” content promotion method), or would you prefer to invest a bit of money into Facebook ads and spend those precious work hours on something else? Don’t get me wrong. I’m not trying to dissuade you from using Quora to promote your blog posts. 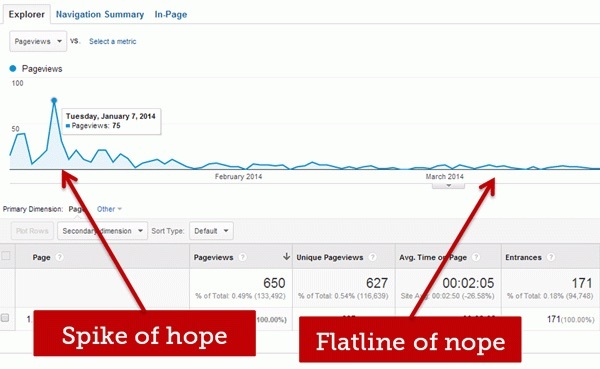 … which leads to some decent referral traffic. My goal here is to persuade you that you DO have the budget to promote your content with Facebook Ads because it frees quite a bit of your precious time—time that is better spent elsewhere. If you can’t justify spending $30 to promote your article, how on earth can you justify the countless hours you spent writing it in the first place? 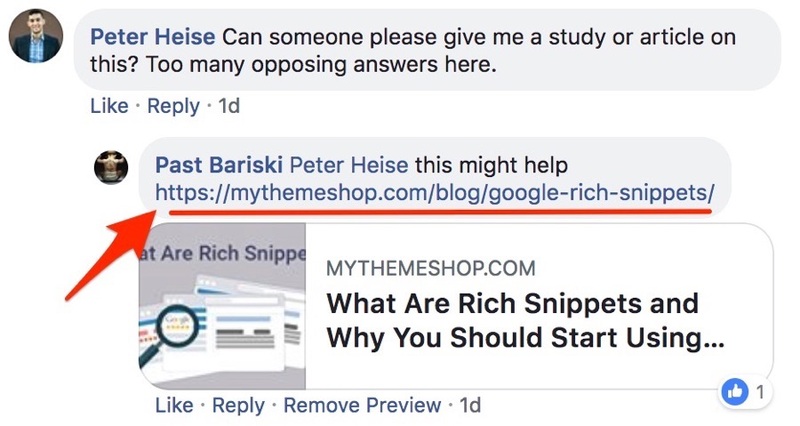 Here at Ahrefs, we have a set of articles that consistently get cheap clicks from “cold audiences” on Facebook. Instead of having a fixed one‐time budget to promote these articles, we allocate a recurring monthly budget to keep pushing them to more and more people. To make sure we don’t show the same article to the same people more than three times, we keep a close eye on our Ad Frequency. PS: At first I wanted to name this section “Paid traffic” and include Twitter ads, LinkedIn ads, Quora ads, etc. But these other platforms have never really worked for us. The cost per click (CPC) always seems high. Therefore, I can’t recommend them to you in good conscience. I see too many bloggers (businesses?) limiting their content promotion activities to their existing audience. If that’s all you’re doing to promote your content, you won’t get far. Now, with Facebook Ads, you can easily create a “negative audience” of people who have already visited your website and only pay for clicks from people who have never heard about you. This way you can effectively enlarge your audience and expose your content to more and more people over time. But what happens when you only share your article to a list of your existing email subscribers, or with people who follow you on Twitter, Facebook or LinkedIn? You’re bringing the same people back to your website again and again (and again)! But what’s the problem with this? 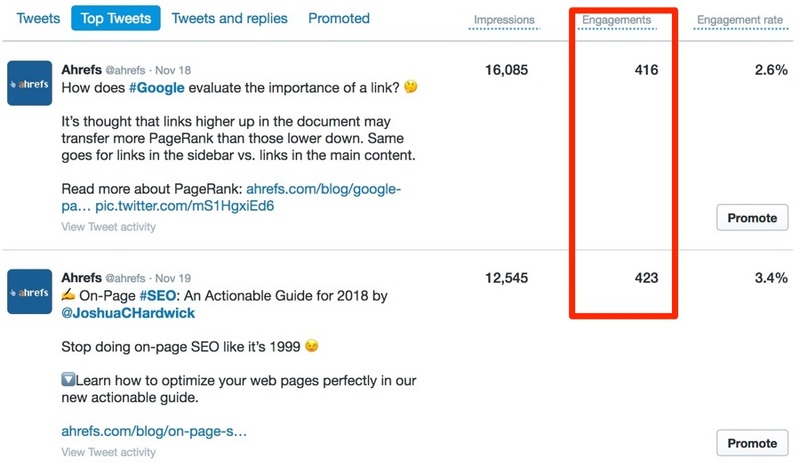 After all, your existing audience will help with initial traction by eagerly distributing your content to more people (via tweets, shares, direct messages, etc. ), right? Not quite. First of all — if you already had a large audience, then you wouldn’t be reading my article on promoting your blog right now. Second — the number of email subscribers—or Twitter followers, Facebook fans, etc.—is arbitrary. That’s because you’re very unlikely to reach even 30% of these people with your newly‐published article. Third — most people who check out your article won’t read the whole thing, let alone tweet it out or send it to a friend. Your post will have to be genuinely exceptional to make them want to do that. In other words, getting a substantial amount of traffic solely via word of mouth is incredibly hard. Tim, are you seriously talking me out of sending an email update to my hard‐earned list of email subscribers? Are you even in your right mind? I’m 100% with you here. You should always promote every new blog post to your existing audience. Some of your fans will indeed amplify your content by tweeting it and sharing it with their friends. But don’t delude yourself. Not all of your fans will do so—in fact, most of them won’t. Most of our emails get a click‐through rate of between 3% and 4%. 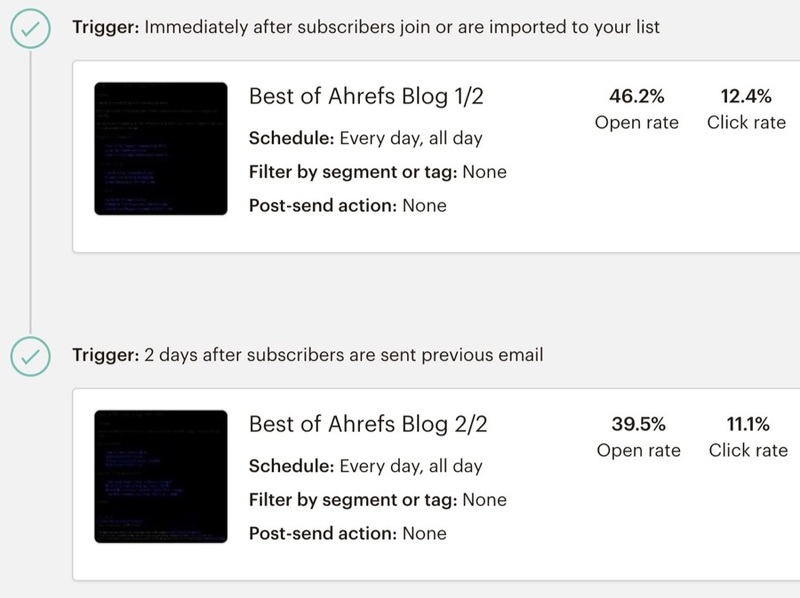 Some bloggers advise that a few days after sending your initial email, you should create a segment of email subscribers who didn’t open it and resend them the same email with a different subject line—which should lead to more opens. It might be worth doing as a one‐off trick for a very important article, but don’t do it every time you publish something new. That’s a surefire way to annoy your loyal fans. Furthermore, because some email clients don’t allow tracking pixels by default, you may inadvertently end up sending the same email to people who did open the original—again, this is an easy way to annoy people. Whenever new people sign up to your email list, it’s highly likely that they haven’t read all the excellent content you’ve already published on your blog. You can see that the open and click rates on these two emails are quite high. So we do recommend that you do the same, but please don’t shoehorn too many articles in here as this can cause “analysis paralysis” and people won’t click anything at all. 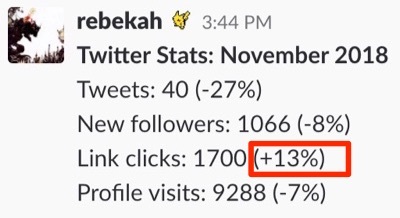 In other words, you’re unlikely to get tons of traffic by tweeting your article to your followers. The gist is quite simple: Don’t share your newly‐published blog posts on social media just once—share them at least a couple of times by making small changes to your message. #SEO tip 32: Update your content regularly…and get a BIG traffic boost! I’ll do the math for you: average reach across all five is 12,780. But here’s the thing: this number also includes paid reach—i.e., reach from the ads we’re running. Take this out of the equation and the average drops to 7,106. That means we’re reaching less than 10% of our audience. I’m honestly not surprised by this finding. Everyone knows that Facebook is a pay to play platform. And pay to play is precisely what we recommend doing. Using Facebook ads is one of the best content promotion tactics out there, as discussed earlier in this guide. Some bloggers recommend connecting with your audience via Facebook Messenger as engagement rates are generally higher than email marketing. We’ve yet to test this ourselves, so I can’t comment on how well it works. However, you cannot escape the law of sh***y clickthroughs—so the effectiveness of Facebook Messenger marketing” will likely drop quite soon. But of the tens of thousands of daily active Ahrefs users, only a few thousand of them click on each notification. So you’re not even in full control of people’s attention inside your own app. In today’s world, reaching your fans is incredibly hard. The more channels you use to stay on their radar the better. Your blog visitors shouldn’t struggle to figure out how to subscribe to your blog via email, or how to follow you on Twitter, or if you have a presence on Facebook. But at the same time, don’t rely on your audience of fans and followers too much. You should be working on the blog promotion strategies that will help you reach more new people—not just your existing fanbase. PS: We also tried reaching our audience with browser notifications (via Pushcrew). We soon got rid of these as we felt they were too intrusive and irritating for our visitors. I wanted to start my post with this strategy, but I was afraid that you’d roll your eyes and close it immediately. I do not doubt that you’re fed up with the same old “create great content” advice. 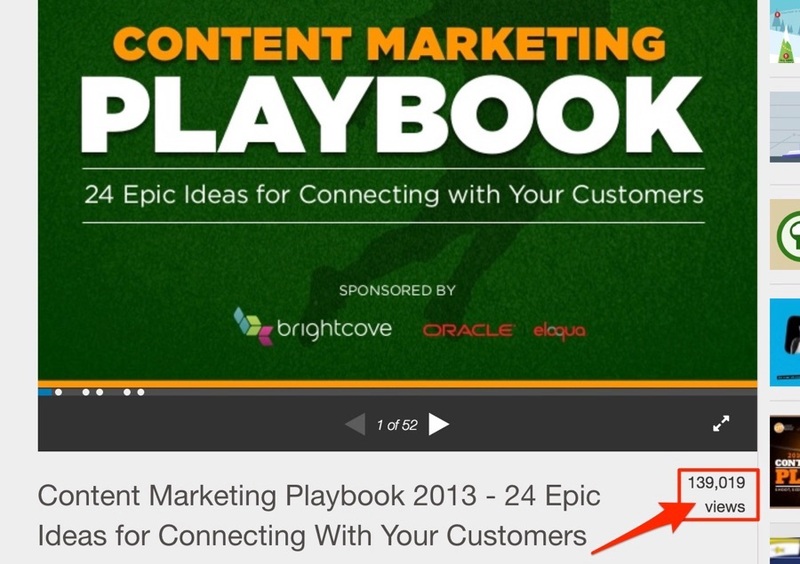 Creating great share‐worthy content is essential for the success of your blog. …and they will talk about your blog everywhere! There’s no “marketing trick” behind these two examples. They’re not a product of our marketing department. Genuine fans left these comments. All we had to do to make this happen is consistently publish useful articles on our blog and use the other six strategies from this list to promote them. In other words, creating great content is the most crucial content promotion strategy ever. But what is “great/quality/amazing/awesome content” anyway? Back in 2015, I wrote a lengthy guide to strategic writing on my personal blog. It took me almost three weeks to complete, and I crammed everything I knew about content writing into it. I thought it was a true masterpiece. Rand tweeted it, despite none of us asking him to do so. So why wasn’t the first article “unique enough” for Rand, while the second one was? In the article that Rand didn’t tweet, I did nothing but rehearse the same advice from pretty much every other post on the topic. It was big. It was chock‐full of great tips. It even had a nice infographic. But as Rand (rightfully) mentioned, nothing in the article was genuinely unique. In the article that Rand did tweet, there’s no rehashed advice whatsoever. Everything in it is 100% unique and based solely on our experience with podcast advertising. Now put yourself in Rand’s shoes. As one of the most prominent people in the industry, he’s hardly going to share the same old rehashed advice. He’s seen it all before. It’s not exciting or share‐worthy to him. That’s why he tweeted the second article but not the first. This tweet wasn’t a one‐time wonder. Rand has tweeted quite a few articles from the Ahrefs blog over the past couple of years. This is just the most recent example. Rehashing the same content that you’ve seen on other blogs will only get you so far. However, publish something unique and insightful, and the support you get from others in your industry may amaze you. To get some unique data for this article, I reached out to 500+ bloggers and asked each of them to share their traffic numbers with me. Then I crunched the numbers in excel and created a few nice graphs. Nothing too special, but it was something nobody had done before. My point is this: anyone is capable of creating amazing and original content that will make a splash in their industry. You just need to invest a ton of time and effort into doing things that haven’t yet been done. 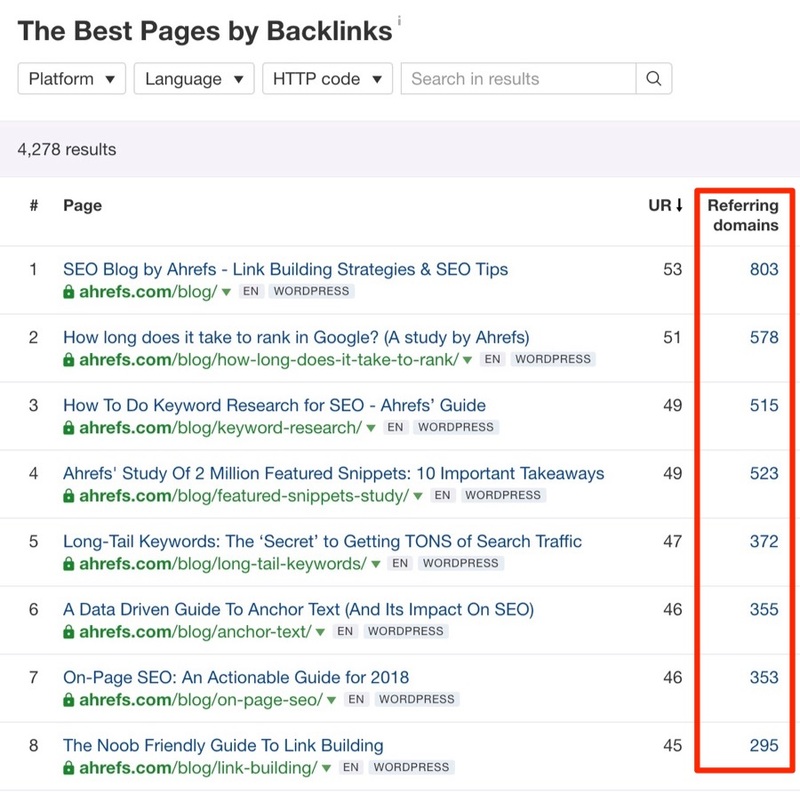 Researching which of your competitors’ articles have attracted the most backlinks is a great way to come up with awesome content ideas for your blog. 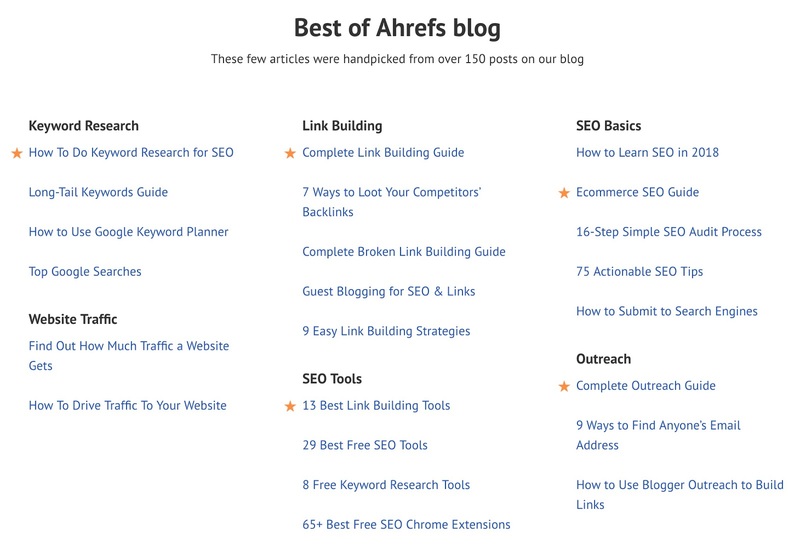 To do this, plug your competitor’s blog URL into Ahrefs’ Site Explorer and go to the Best by links report. By looking at which articles have the most links from other websites (Referring domains), it’s evident that our in‐depth guides and studies are most successful. Try this report with your competitors to see what works for them. 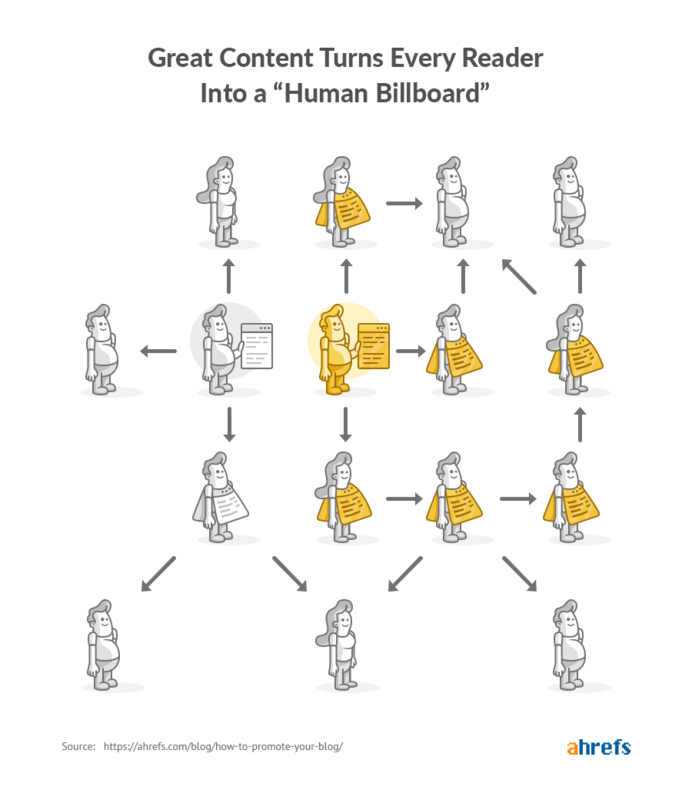 There is no better blog promotion strategy than publishing the kind of content that turns every reader into a human billboard—i.e., people who will promote it at every opportunity. Please keep in mind that a lack of copywriting experience might kill even the most exciting article idea. If you want to impress people with your content, you need to learn how to write well. But in all honesty, creating highly‐unique content may not be enough to entice people to share it. Then you pour some money into Facebook ads to reach some new people. And you’re out of budget for Facebook ads. Does this mean that no‐one else will ever read that article of yours? 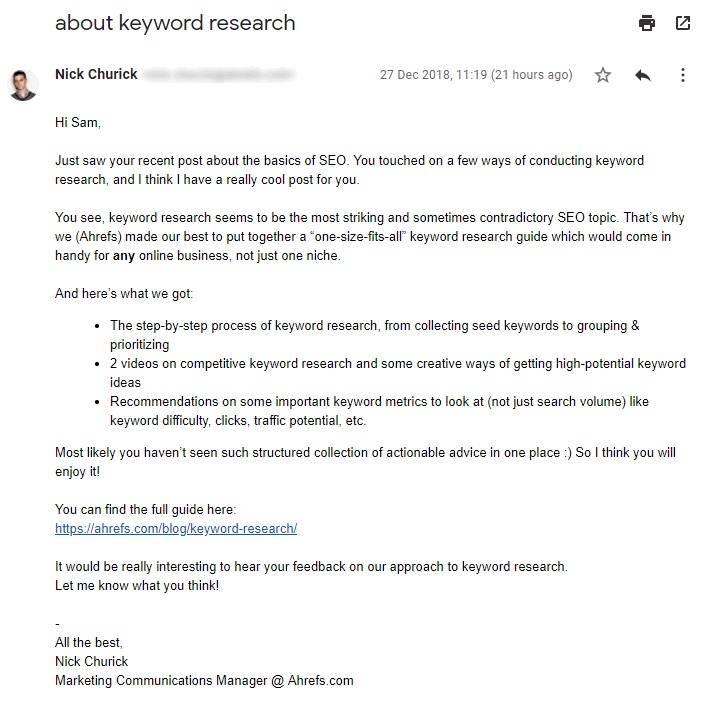 This screenshot shows real traffic to our keyword research guide published back in 2016. You can see that traffic to this article didn’t fade after the initial spike. It kept growing. Then we completely rewrote and relaunched this article in April 2017, which helped to increase traffic further. And that is the power of SEO. If you’ve been blogging for a year or more, it’s likely that some of your articles already rank in Google and get consistent traffic every single month. That’s good. But you’re missing out if you’re not funneling that traffic deeper into your blog. 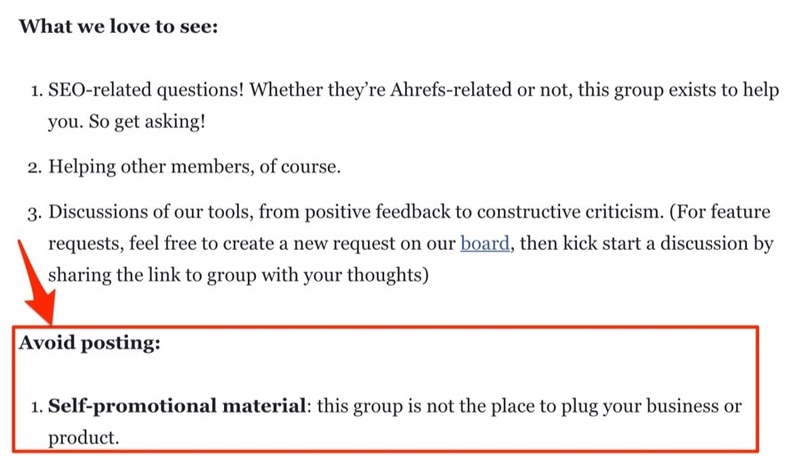 After we publish a new post on the Ahrefs Blog, we often go back and see if we can internally link to it from some of our older posts. We do this mostly because Google likes it when your pages have relevant internal links from other pages on your website. 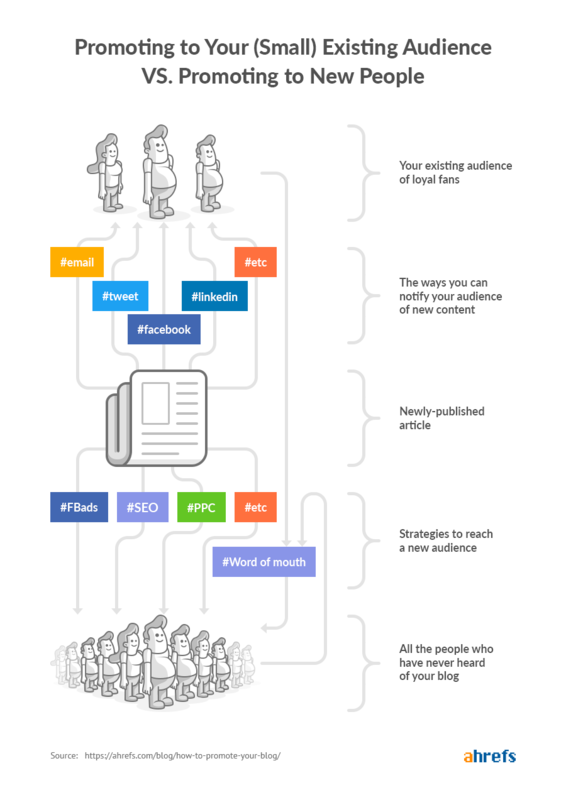 But we also see it as a smart way to funnel search traffic from old articles to our newer content. But where do you even start with SEO? Get links to that article from other websites. Some bloggers know their audience so well that they don’t even have to do keyword research to figure out what to blog about. Nor do they need to do link building because they have plenty of fans in the industry who’ll happily link to their newly‐published articles. But if you’re not one of the lucky few for whom SEO is a doddle, you’ll have to spend some time studying SEO and content marketing. Try researching the most well‐known blogs in your niche to find out which of their articles get the most traffic from Google. 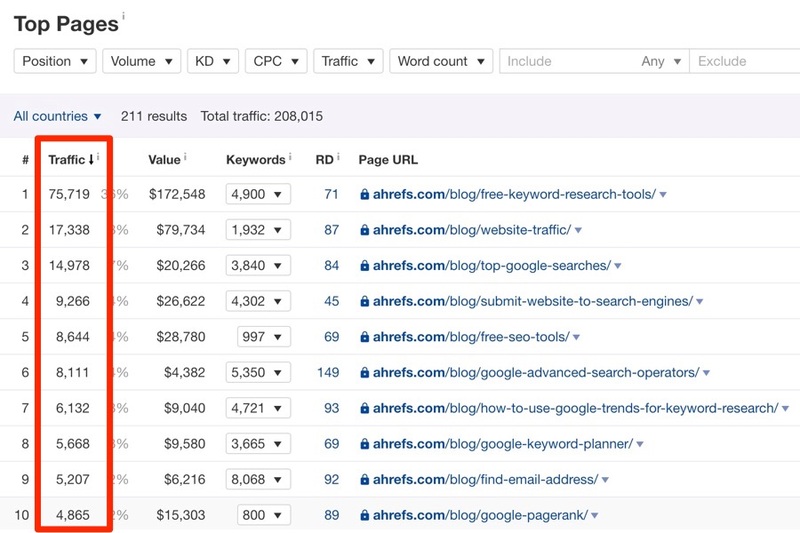 Plug any top industry blog into Ahrefs’ Site Explorer and go to Top pages report. You can see that we get the most organic traffic to our post about free keyword research tools—it gets 76,000 visits per month from Google which accounts for 36% of the traffic to our entire blog. Give it a try yourself to see which of your competitors’ posts are getting the most traffic from search engines. I recommend starting with this post. It explains how we were able to increase traffic to the Ahrefs blog by 1,136% (and get thousands of customers) in less than three years. 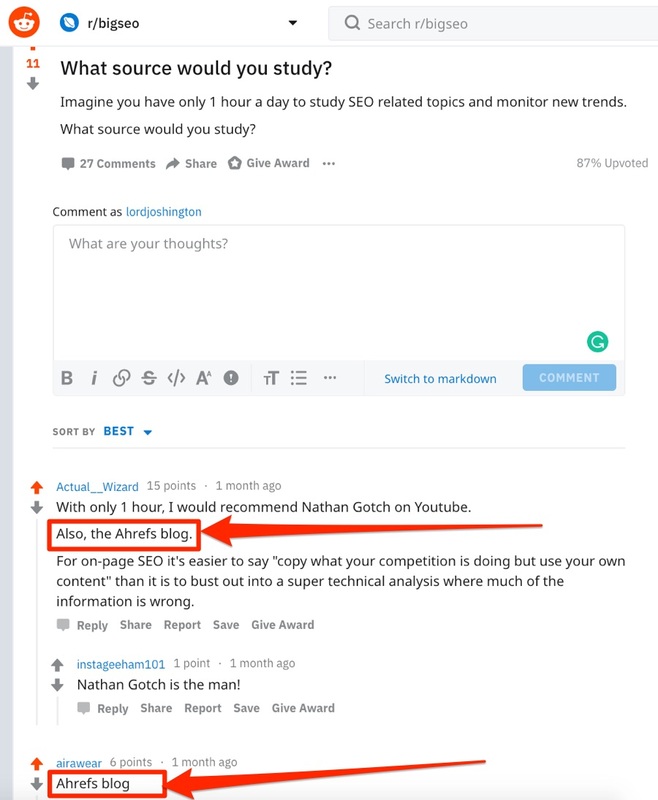 If you feel the urge to learn more after that, check out our blog homepage (where we list our best articles), our YouTube channel, and Ahrefs Academy. We invest heavily in our content, so we’re confident that we have all the learning materials you’ll need to start growing search traffic to your blog. Let’s say your blog is brand new. You registered a domain name around a week ago, and you’re about to write your very first article there. Strategy #1 — Your budget for Facebook ads is small at the beginning, so you’ll probably run out of money very quickly. Strategy #2 — You don’t have an existing audience to whom you can promote your content. There’s nobody to amplify it. Strategy #4 — You can’t hope to get search traffic anytime soon because you first need to earn links from other websites. That takes quite a bit of time and effort. The good news is that there’s nothing to stop you putting all your efforts and resources into strategy #3—creating share‐worthy content. And once you publish that amazing piece of content, why not show it to people in your industry who DO have a large audience and who DO get tons of consistent search traffic to their websites? Why would that person care about whatever I say? If you have a compelling reason for them to care, everything should go smoothly. Otherwise, your emails will only serve to annoy and alienate people. 1. You have mentioned that person (or their work) in your article. Unfortunately, the top people in your field get praised so much that they likely no longer care about the hundreds of mentions they get daily—including yours. Unless you’ve had a prior connection with them, chances are they aren’t going to care or respond. Do they have a comments section below their blog articles? Do they have a Facebook group that’s related to their brand? But I also recommended Joanna Wiebe right after Neville. I’ve connected with Joanna in the past too, but only briefly. For that reason, I wouldn’t honestly expect her to share my work with her followers. That is unless she reads the article from start‐to‐finish and genuinely enjoys it. 2. Your article has something groundbreaking that this person doesn’t know about, but is genuinely interested in. 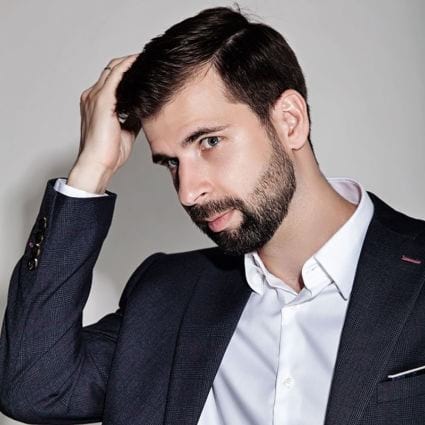 Remember how Rand Fishkin tweeted our article about podcast advertising without us even having to reach out and ask him? Our article contained unique insights that were new to him. There’s no trick to getting top people in your field to promote you. You have to do notable work. That’s why whenever Ahrefs’ marketing team sends outreach emails to promote our content, we focus on pitching the actual article, not a sneaky request to tweet it. 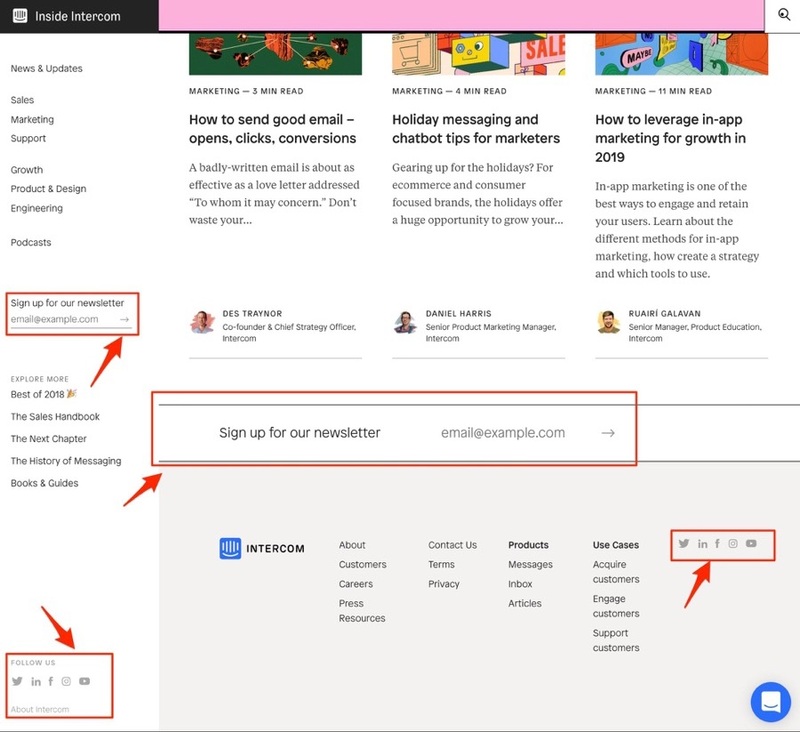 You can see that the above email showcases what is unique about our article and why the recipient should care about it. Never do we ask the recipient to share our post, and nor do we don’t ask them to link to it. That screenshot doesn’t show how many tweets or links we got. It merely shows our open and reply rate for a recent outreach campaign. And that is intentional. Our primary goal with outreach isn’t to get a tweet or a link from the person to whom we reach out, but rather to instill enough interest in our content that they read it. So that’s blogger outreach in a nutshell. The only thing that was left unanswered is where to find new outreach targets. Learn more about that in our detailed guide to using blogger outreach to promote and build links. Online communities exist for people to have meaningful conversations about a particular topic and to help one another with relevant issues. The moment that community members start selfishly promoting their own stuff is the moment that the community ceases to exist. You can’t just join our Facebook community and start dropping links to your blog. But what you CAN do is become an active member of the group and plug your links in relevant conversations (as long as doing so benefits other members). We don’t moderate links within conversations (whether self‐promotional or not) as long as they are relevant and add value. So instead of advising you to find all relevant online communities (Facebook groups, online forums, Slack channels, etc) in your space and bomb them with links to your blog, I can only advise you to join them. Notice that I didn’t even advise you to “be an active member” there? That’s because you either enjoy being a part of that community and helping other people or you don’t. 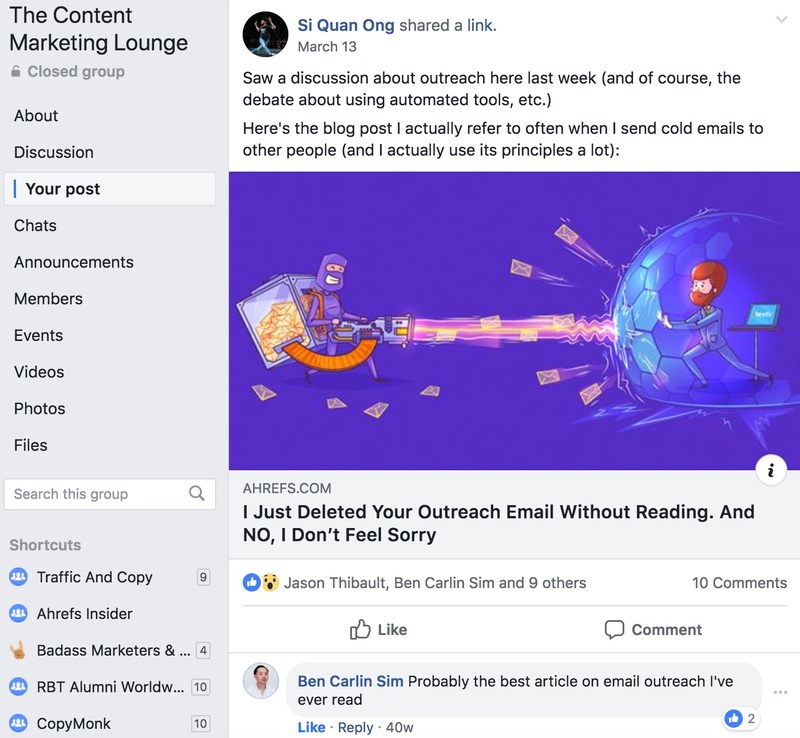 Si Quan (who’s a member of our marketing team) gets away with promoting our content in a Facebook group because he’s an active member there and knows what the community will appreciate. Search Facebook. This could be fan groups of the leading bloggers in your space, customer groups of brands in your space, or simply relevant interest groups. Find relevant subreddits. If there’s a subreddit for people who want to photoshop arms onto birds, I’m sure there’s one for whatever you’re blogging about. Find relevant forums. Just search Google for “your_niche forum” and there’s a good chance you’ll find some. Unfortunately, I can’t show you any specific data on how promoting our content in relevant communities helps us to get more traffic to our blog. 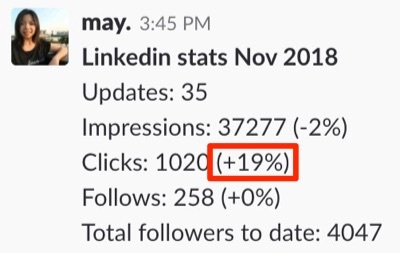 As soon as we start tracking numbers and setting ourselves goals (e.g., x number of leads per month), our participation in these communities will stop being genuine and fun, and people might even start hating us. Here’s our post that explains how to perform an SEO website audit in 16 simple steps. By repurposing our blog article into a video and sharing it on YouTube, we were able to attract five thousand extra eyeballs. Not bad, right? 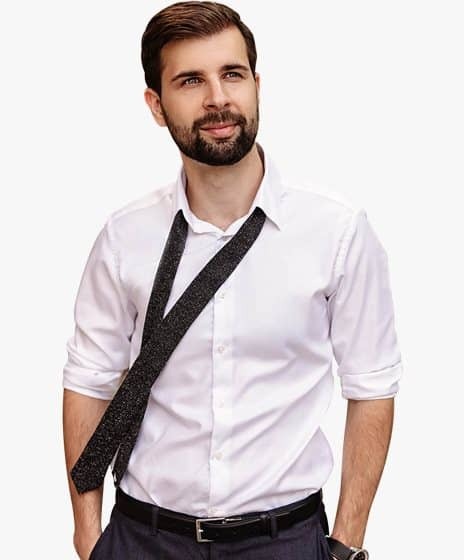 At this point, you might argue that Sam (our video guy) has some fancy video tech, impressive presentation skills, access to a skilled video editor, and over 30k YouTube subscribers, whereas you’ve never created a video in your life. This is one of the first videos I published on our brand new YouTube channel almost four years ago. I used my iPhone and a cheap screencasting app to put it together. That (awful) video has over 125k views to date. 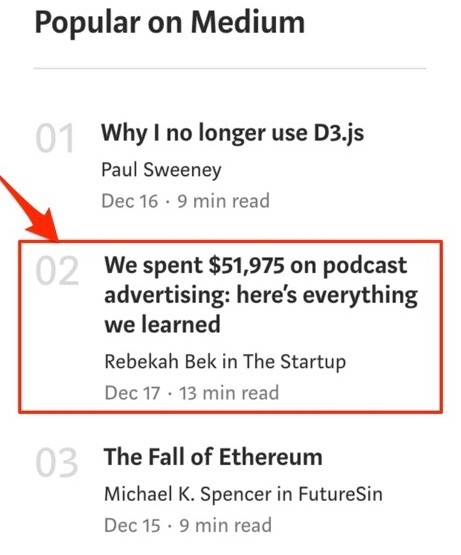 Our article landed the #2 spot on Medium’s “most popular” chart on the day it was published. Need even more ideas for transforming your content into different formats for broader distribution? I’ve also noticed that a few of my articles here on the Ahrefs blog have landed me podcast interviews where we discussed pretty much the same topic. Example: article VS podcast. That was awesome. Let’s do it again! Creating more work is one of the most effective marketing techniques of all. Do you see how this applies to promoting your blog? After publishing a fantastic article and having tons of success with it, the best thing you can do to promote your blog further is to publish yet another groundbreaking piece of content. 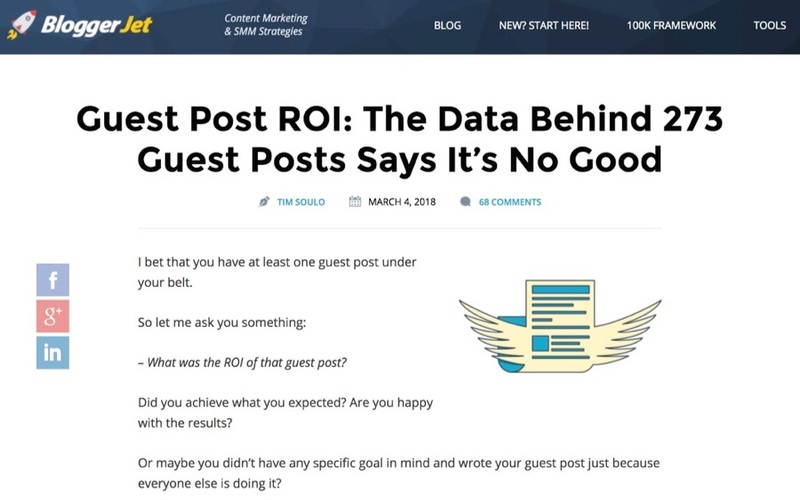 A consistent output of great work is what pushes your blog to the forefront of your industry, not the latest content promotion hacks (this post is good by the way). Promotion is not how things are made great—only how they’re heard about.